The AKC Library showcases dazzling canine art and artifacts. However, nothing draws attention like the small, glass-encased skeleton near the windows. No one passes without peering in and noting his breed and name. But how many visitors grasp the historical significance of Belgrave Joe’s contribution to purebred dogs? His skeleton was mounted by his last owner, Luke Turner, a dedicated Fox Terrier breeder who wanted to ensure that future Fox Terrier breeders understood the proportion and symmetry that Belgrave Joe transmitted to the breed. Few fanciers saw him during his lifetime. Although he was shown only once, he was the foundation sire of both wire and smooth bloodlines. The old guard like Francis Redmond and Sidney Turner oversaw Belgrave Joe’s remains until they died. 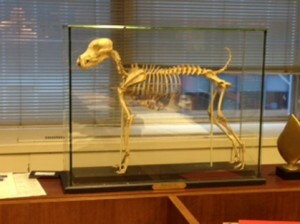 He was then adopted by the Royal Veterinary College, housed in a storeroom until a student realized his significance. Ironically, this iconic ancestor of a classic British breed was shipped to America, remounted, rehomed in a new case, and since the 1930s, Belgrave Joe has been exhibited at American Kennel Club’s library. The Kennel Club’s willingness to part with him is surprising. But it can be argued that Belgrave Joe’s equally important contribution to American Fox Terrier development justifies this ownership transfer. We’re lucky to have him and are therefore obligated to know his legacy. Whelped July 31, 1868, Belgrave Joe weighed 18 pounds. He had a tan head, white body, correct terrier character and a marvelous hard coat. Generally admired because he lacked the coarseness then plaguing the breed, he had plenty of daylight underneath. Unlike many Belvoirs, he had excellent feet. Most importantly, he is acknowledged as the source of modern Fox Terrier head type, which ranged from long, narrow and weak jawed to blocky and wide. Fox Terriers, per se, didn’t exist in 1860 and hallmark traits weren’t reliably instilled for decades. Establishing type was no small matter. 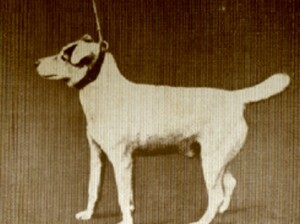 Hunt terriers from hound packs like the Quorn and the Oakley became the basis of foundation show stock which often featured Bulldog, Beagle, Bull Terrier, Italian Greyhound, or primarily Black-And-Tan backcrosses long after it was relevant to breed evolution. In 1883, Vero Shaw explained the modern Fox Terrier derived primarily from three sources, “just as Thoroughbred horses are often grouped into three families, headed by the Derby Arabian, the Byerley Turk and the Godolphin Arabian- we may classify Fox Terriers under the families of Jock, Trap, and Belvoir Joe.” Contemporary attention centered on Pytchley Hunt’s Old Trap and Grove Hunt’s Old Jock. A wildly popular stud, he made headlines selling for 80 pounds, more than his weight in silver. When he died in 1871, his head was mounted for posterity. However, the Belvoir hunt had the biggest investment in terrier development, keeping their line pure and documenting breeding for 40 years. Fox Terriers debuted in the classes in 1862. A decade later the Fox Terrier Club was founded. They published a standard in 1876. Breeding commenced in earnest and the scene heated up considerably. Belgrave Joe’s sire, Belvoir Joe, was bred, owned, and hunted by the Belvoir pack’s huntsman. His pedigree was pure hunt terrier, i.e. black and tan. He came down from Trimmer, okay but nothing special, also the consensus about his dam, Branston’s White Vic. No one ranked Belgrave Joe with Jock and Trap except Turner. After Turner’s very generous offer for Belgrave Joe was rejected, he settled for breeding to him. At age ten, Belgrave Joe was considered recyclable and Turner purchased him. Four years later, author and judge James Watson saw him at Turners house: “he was a shade larger than the usual run of terriers but was wonderfully true in shape considering that he was then 16.” He died at age 20 in 1888. During his decade as Turner’s housepet, he was intensely linebred and inbred. Luckily, other breeders woke up to his importance before the ship sailed. He sired Ch. Brockenhurst Joe, Ch. Richmond Jack, and Ch. Richmond Olive, elite winners of Britain’s premier Fox Terrier tribute, the legendary 50 guinea Challenge Cup. Olive won it three times. Belgrave Joe’s double grandson, Ch. Result, born in 1883, lost only three times in his five year career. Reigning experts, including Fox Terrier Chronicle editor Rawdon Lee, ranked him, and his half-sister, Olive, among England’s ten best terriers. By then, Americans were on board and money was no object for fanciers like August Belmont. Watson brokered the sale of Richmond Olive through George Rapier. Purchased by John Thayer for a record price, Thayer said keep the change! Belgrave Joe’s descendants became cornerstones of bloodlines like Warren established by Winthrop and Lewis Rutherford in 1882. Within a couple of generations they produced Warren Remedy. American Field called her, “The greatest Fox Terrier ever to grace the ring, we may look for a long time for one to beat her.” They didn’t lie. 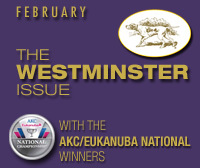 She became Westminster’s first BIS winner in 1907, making it a habit until she lost the breed to another Belgrave Joe descendent, the 1910 BIS winner Ch. Sabine Rarebit. No breed comes close to the Fox Terrier’s Westminster BIS record, and Belgrave Joe can be thanked for most of these winners. Posted by admin on Aug 7 2013. 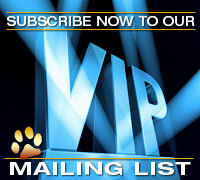 Filed under Current Articles, Dog Show History, Featured. You can follow any responses to this entry through the RSS 2.0. Both comments and pings are currently closed.